It's October, which means pumpkin season. More likely than not, you are soon going to be tempted to cover your lawn in more pumpkins than you know what to do with. But if you are like me, then you hate seeing something as amazing as a pumpkin go to waste! Have no fear. Here are some of the most awesome things you can do with your leftover pumpkins this fall. Harvest the left over seeds of your pumpkin by hollowing out the center of the pumpkin and placing the seeds on a baking tray. There are plenty of awesome roasted pumpkin recipes that are sure to please your tastebuds. And they are super healthy too! Did you know that you can eat the skin of the pumpkin? It actually makes delicious chips! Carefully skin the pumpkin and then roast the chips on a tray. They taste great with curry or ginger seasoning! Have some herb sprouts that need a new home? Fill your empty and dried out pumpkin shell with dirt and plant something in it. 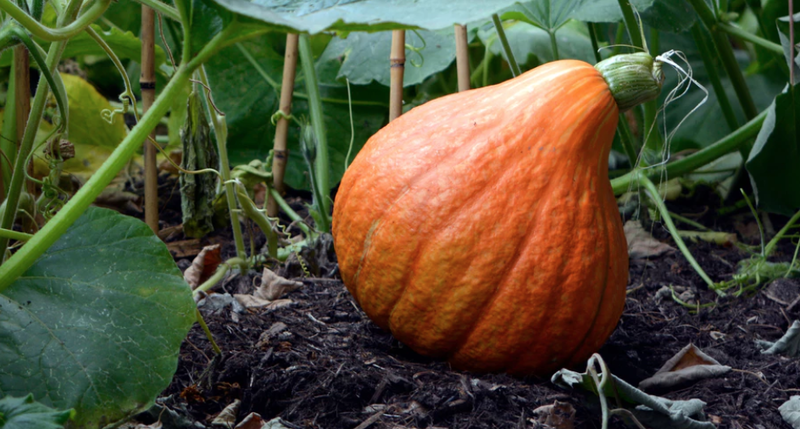 After a few weeks, you can plant the pumpkin right into the dirt and have some awesome compost for your plant. Pumpkin is actually well known for having great cleansing and nourishing abilities for the skin, and is an ingredient in many skin care products. You can leverage the great value of pumpkin by creating your own at-home skin mask. One of the best things you can to with your pumpkin is save your seeds to plant next year. Once you recognize all the incredible uses for these amazing vegetables, you're going to want to make sure you have a whole new crop waiting for you next fall!